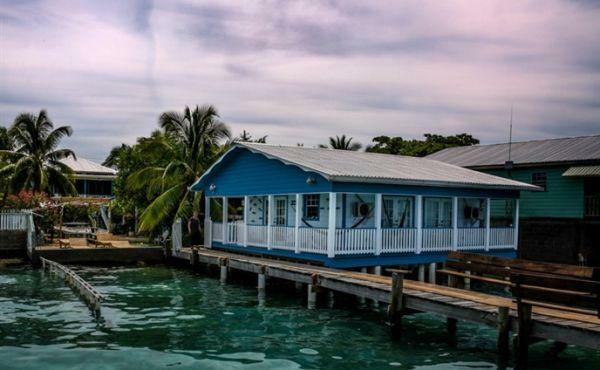 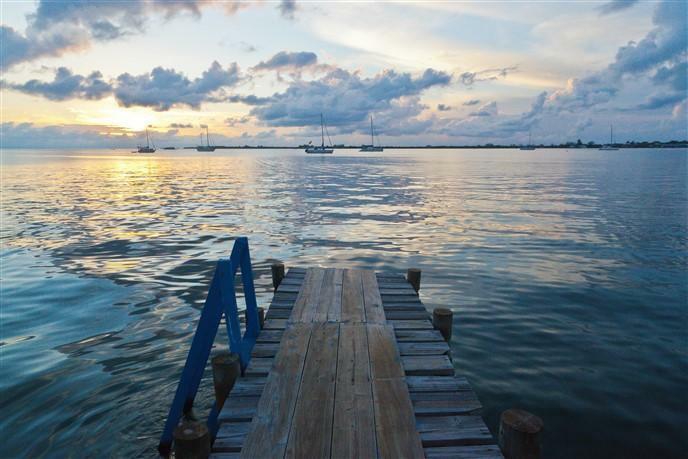 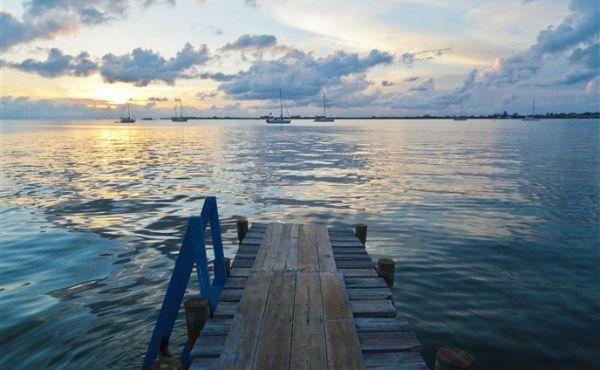 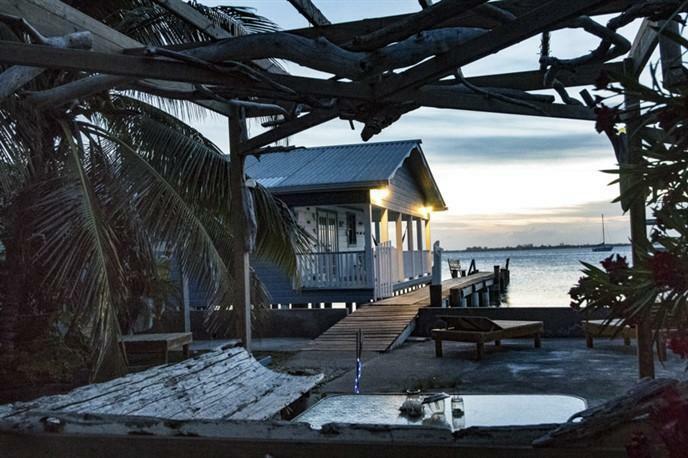 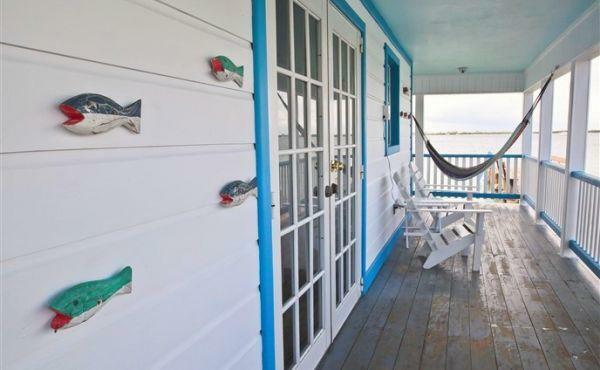 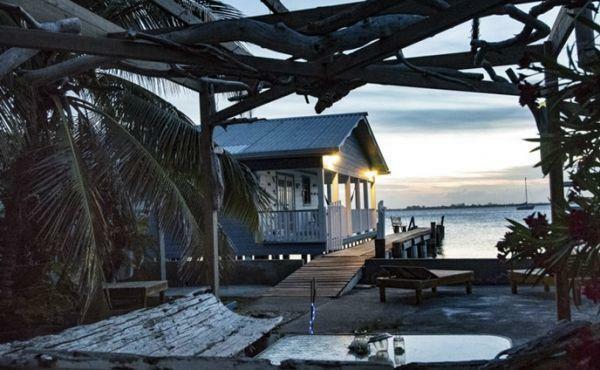 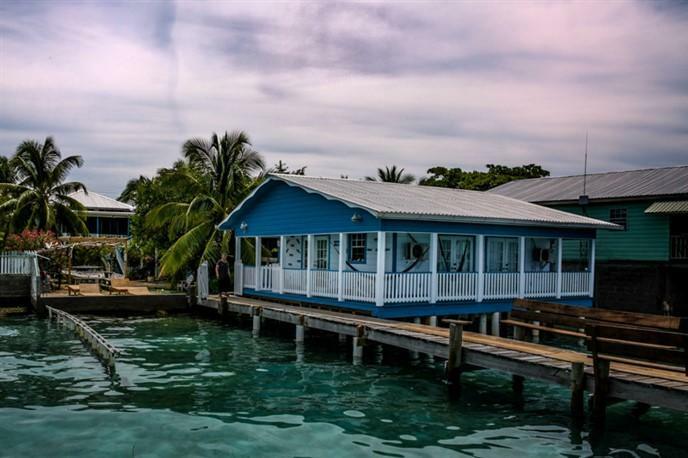 This upscale oceanfront home with rental Units is located on the Point in Utila Bay. 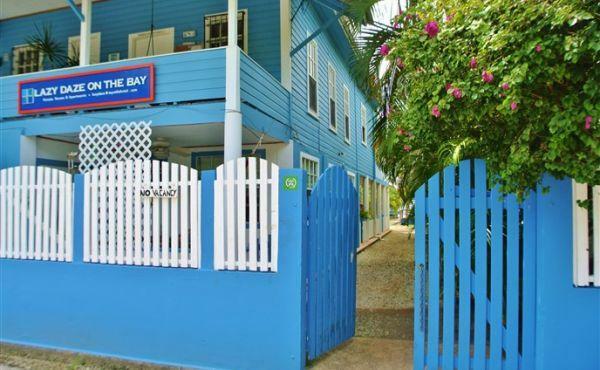 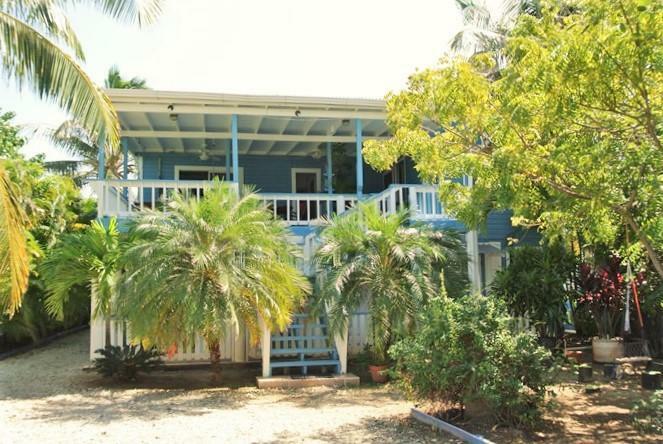 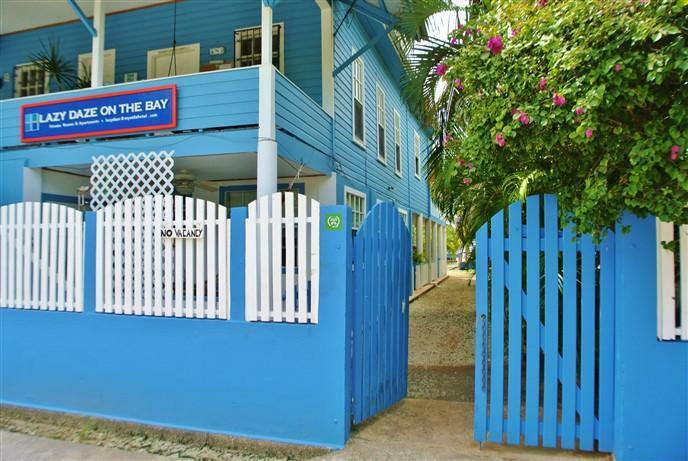 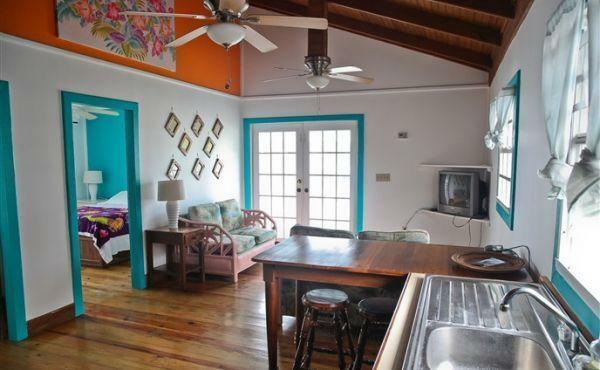 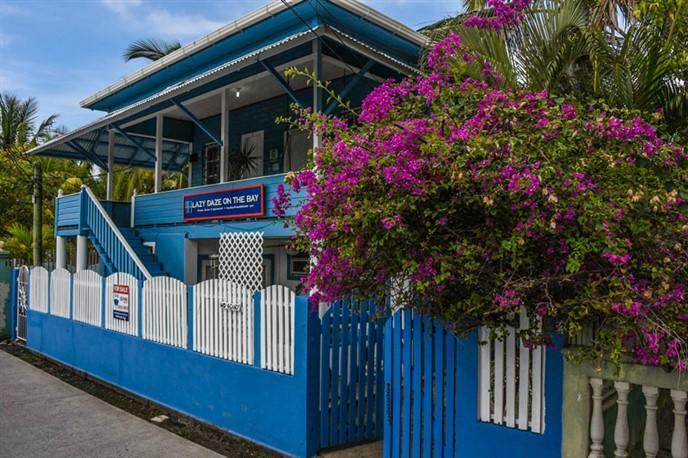 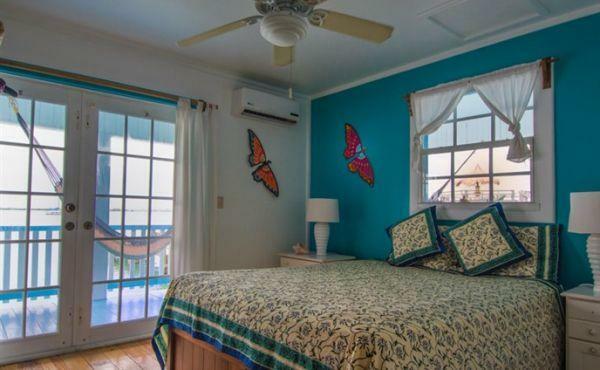 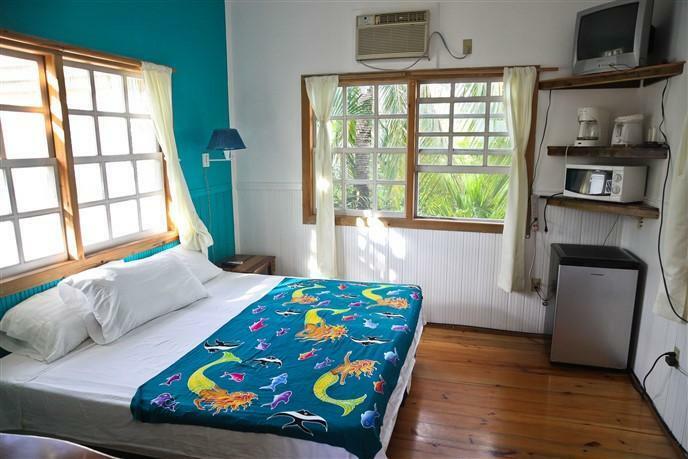 This compound has an excellent rental history primarily due to the central location within walking distance to town center and proximity to dive operators coupled with 63 feet of ocean front and the privacy of an exclusive dock for basking in the warm Caribbean sun, paddle boarding, swimming, and snorkeling. 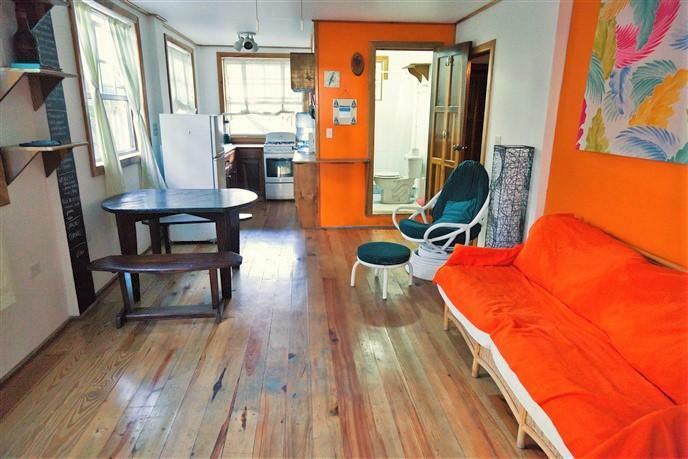 One large apartment with 2 bedrooms, 2 full baths (can be separated into one bedroom with attached bath hotel room with separate entrance and a one bedroom apartment), a spacious kitchen with hardwood cabinets, large living room with dining area hardwood floors throughout and two airy porches. 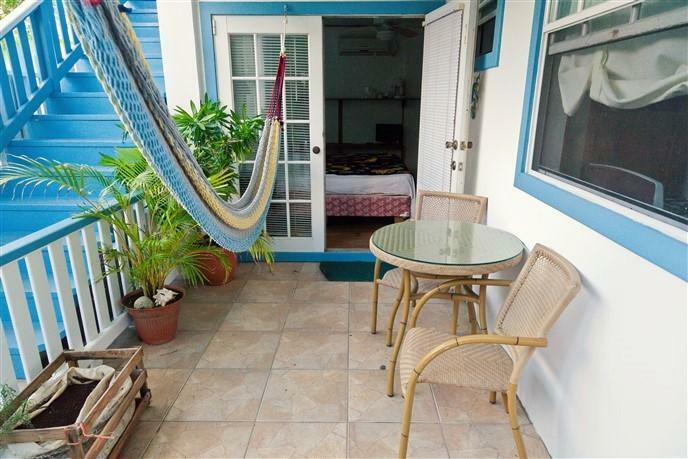 One porch faces east and overlooks Main Street and the Upper Lagoon, while another big and breezy porch extends the width of the house and offers breath-taking views of the sea-an ideal spot to sit in comfort and enjoy the ever-changing sea and sky and the unparalleled sunsets and for casual dining use. 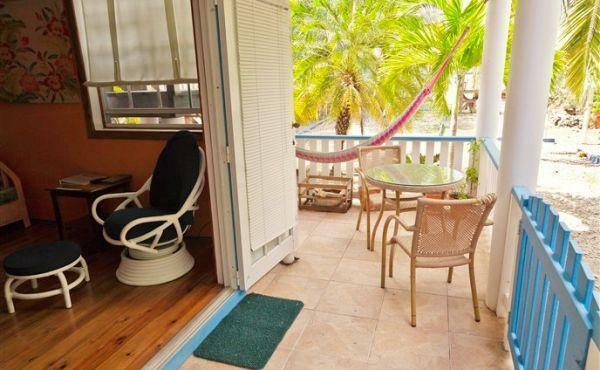 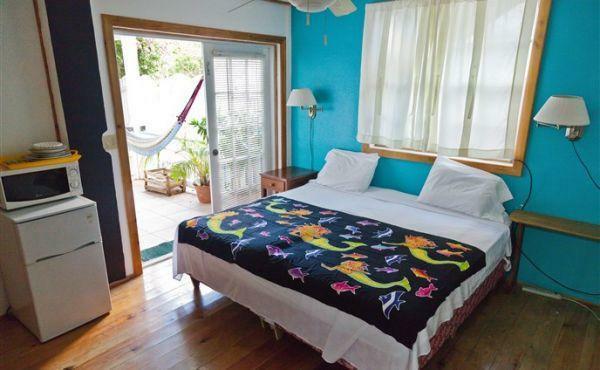 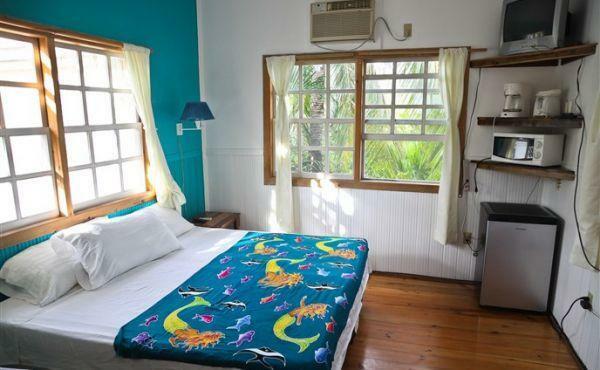 There is a one bedroom sea-facing hotel-room/mini suite on this floor as well which shares a section of the porch and is tastefully made more private with latice and tropical plants. 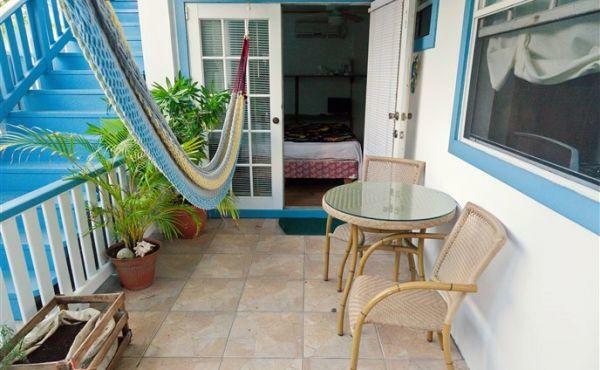 Any of the apartments could be used as owners accommodation or rented out as a rental unit for guests. 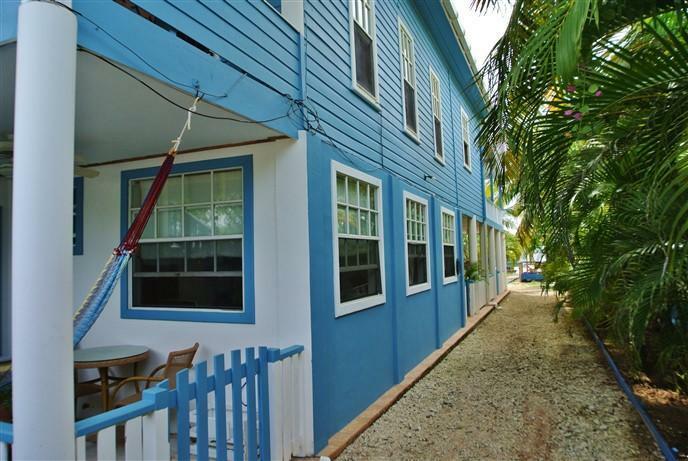 Rental Units 2 and 3 are on the first floor of the main building and are upscale two-bedroom, 2 bath apartments with full kitchens. 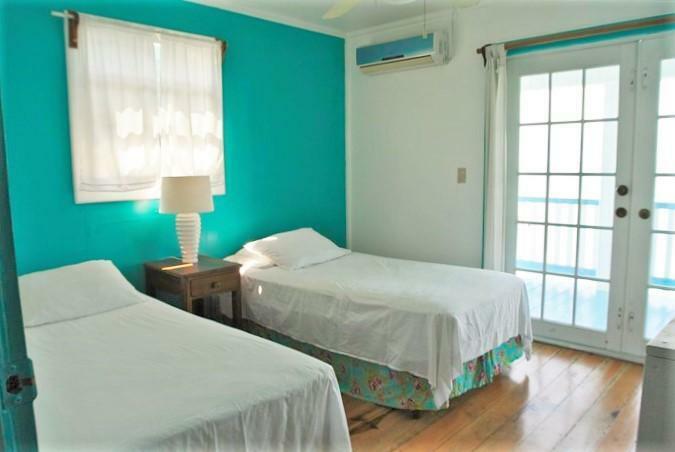 These units can be rented as 2 bedroom apartments, or can be sectioned off securely to be rented as 1 bedroom units with separate hotel room. 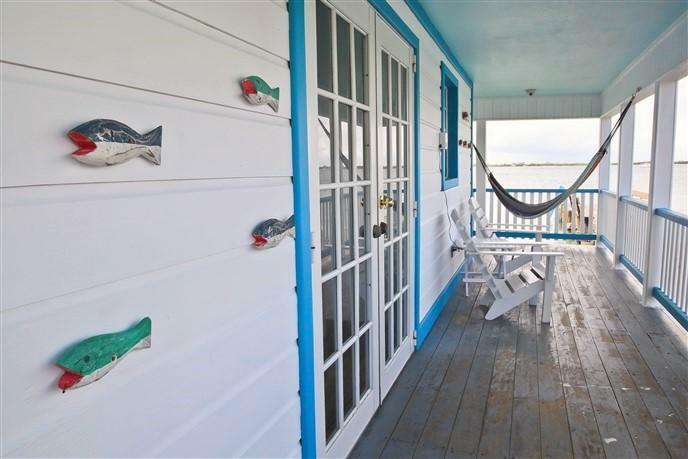 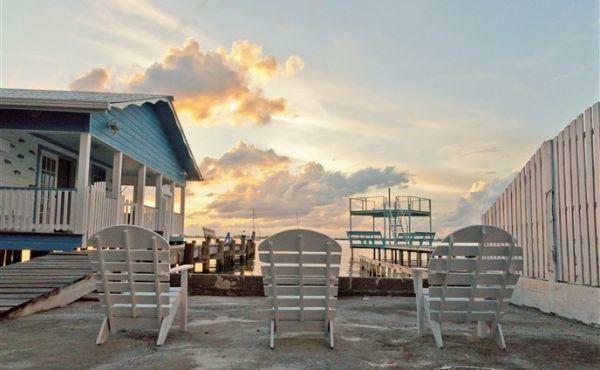 THE BOATHOUSE is a popular two bedroom one bathroom single structure, over-the-water cottage located next to the 80 ft. dock. 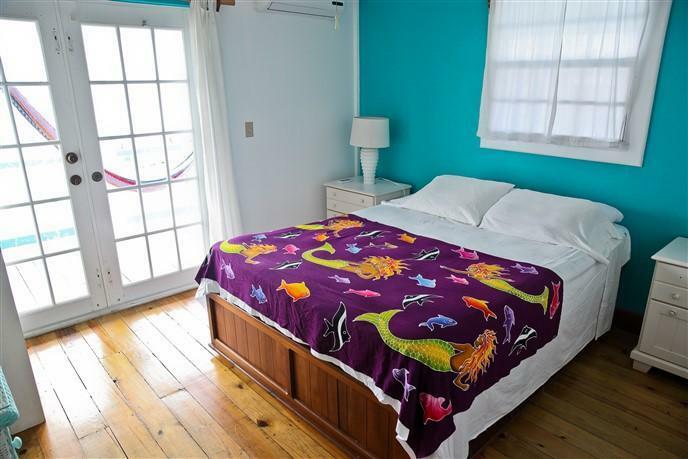 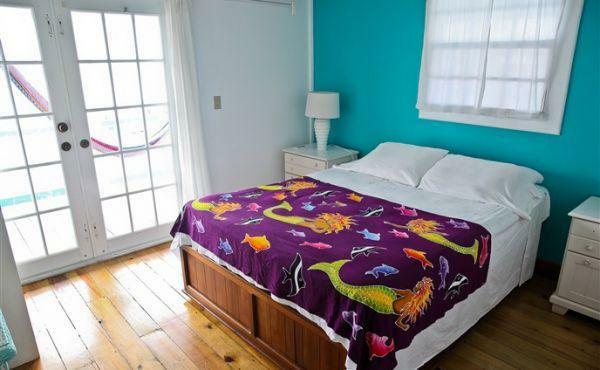 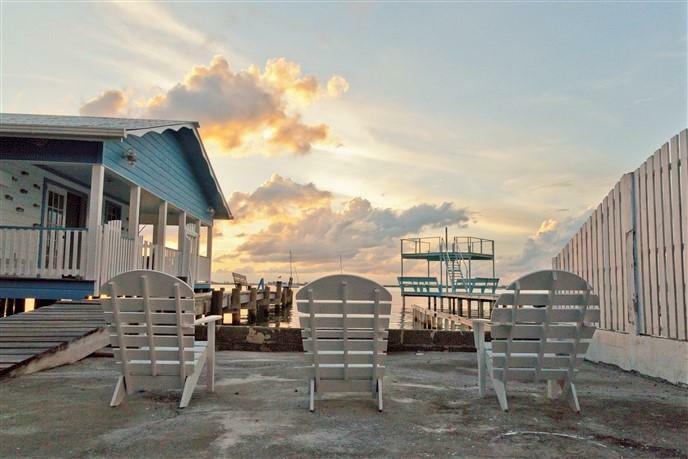 Both bedrooms have air conditioning and there is a fully equipped kitchen and sitting area within the Boathouse as well as two private decks with hammocks facing the sea. 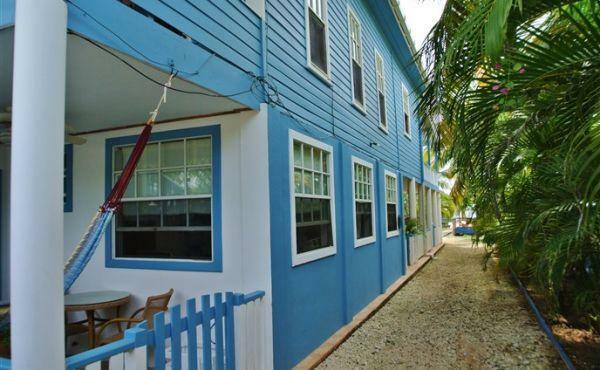 ALL of the rental units are designed to be managed by the owner OR by a hired manager that could live on site as is the current situation. 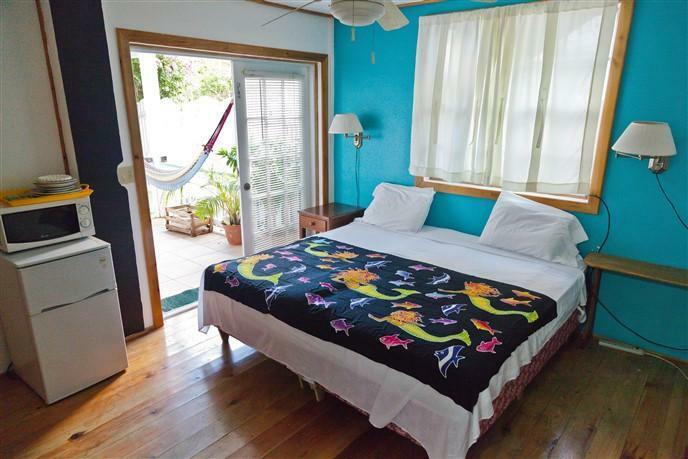 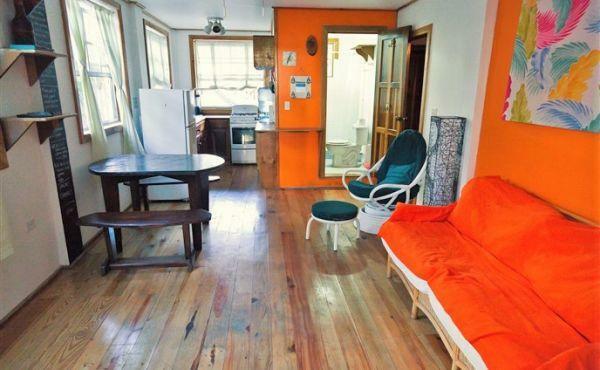 AMENITIES: The main house and all the rental units are bright and cheerful, tastefully decorated, and lovingly detailed. 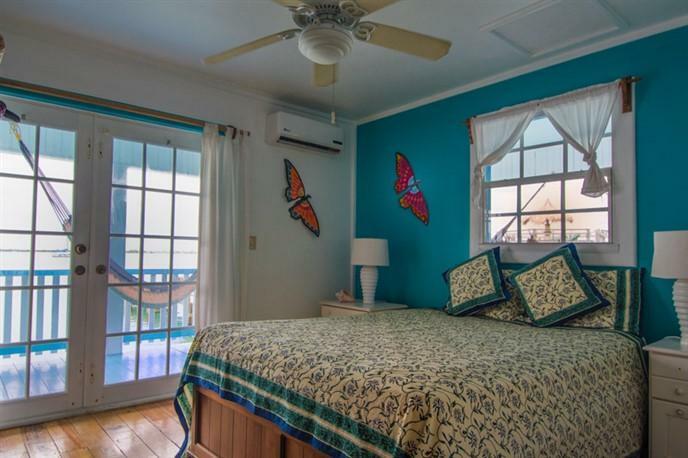 They are fully furnished, air-conditioned, with ceiling fans, cable TV, wireless internet, hot water, full baths and plenty of closet and storage spaces throughout. 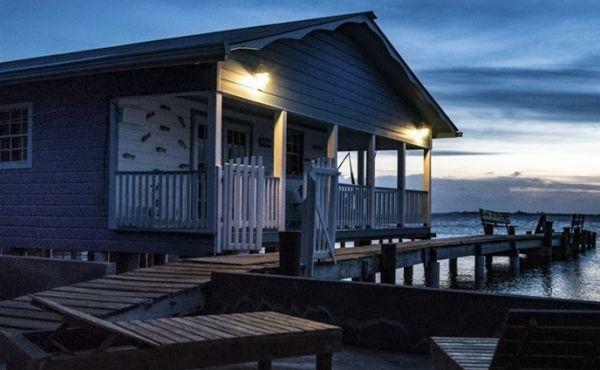 There are two storage bodegas which contain the washers and clothes dryer, a full bathroom with shower, the power generator and additional storage space. 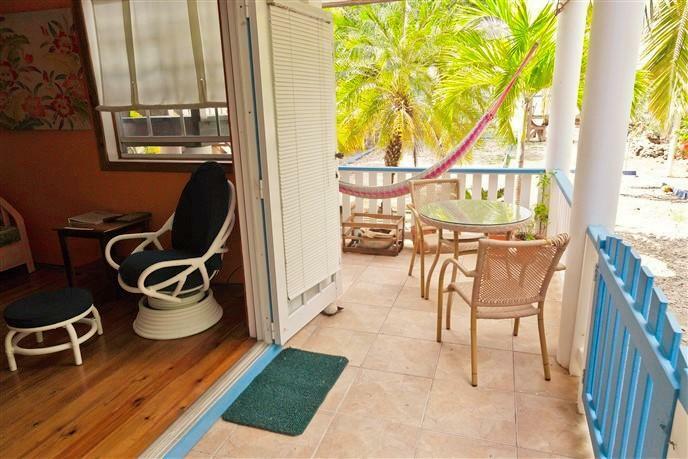 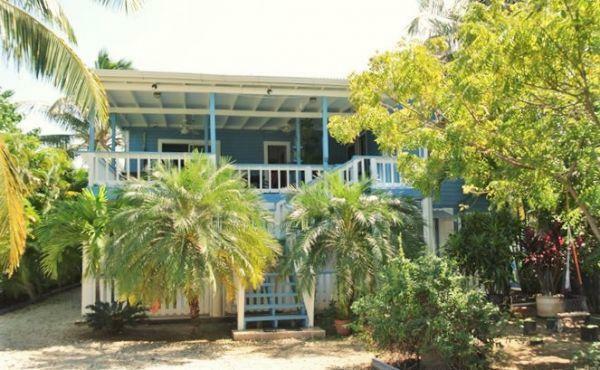 GROUNDS: The property is beautifully landscaped with lush tropical flowering foliage, palms, and fruit trees a small children's play area and has 63 feet of waterfront. 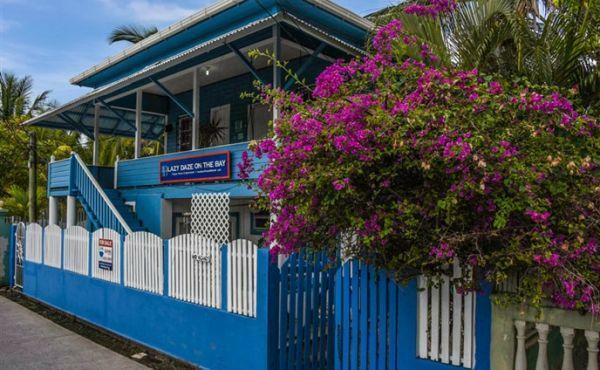 UTILITIES: Water is supplied from the Municipality and there are two large water cisterns and an additional 2500 liter water tank to store water as needed. 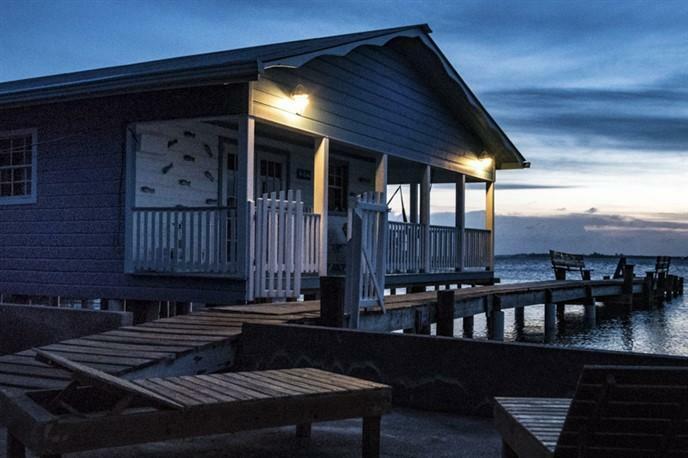 Electrical power is supplied 24 hours a day, 7 days a week by the local power company. 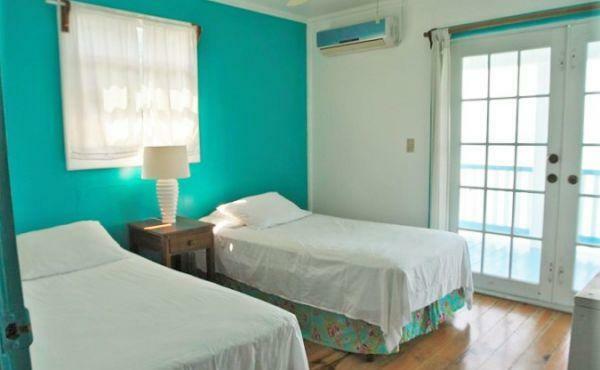 ACTIVITIES: A variety of island activities including water sports, Stand Up Paddleboarding (SUP), swimming, snorkeling, scuba diving, whale-shark watching, fishing, shopping, cafes, dining, nightlife, hiking, horseback riding, bird watching, schools, churches, and more are all within walking distance.